Saving for your child’s future can be stressful. Take a little bit of the worry away with these 5 steps. With back to school time right around the corner the main thing on most parents’ minds right now are jeans, backpacks, crayons and notebooks. While it’s good to be prepared for our kids’ immediate futures it’s never too early to start thinking about their futures after they graduate from high school too. With rising prices on just about everything it may seem impossible to put money away (especially if you have more than one kid), but there are many options available. Here are a few of the ways that I’ve found. Start Early. 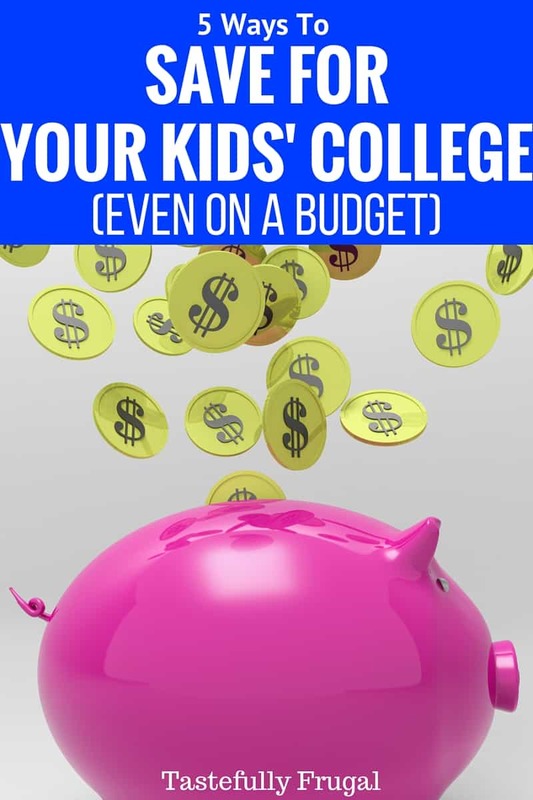 This one may sound like common sense but the earlier you start saving the easier it is to cover most, if not all, of your kids’ college expenses. A recent survey shows that the average tuition cost for in state schools was a little over $9,000 for the 2015-16 school year. Private Institutes were up to three times more than that. Back in 2005 when I was going to school I paid around $5,000 a year to go to the University of Utah (in state). So in 10 years the cost of a college education has almost doubled! Putting $10-$20 a month in a savings account for your child, giving them savings bonds instead of lavish gifts for birthdays and talking to your bank or credit union about different accounts that have higher interest rates are just a few ways you can start saving for your child as soon as they are born. 529 College Plan. 529 College Plans, or Qualified Tuition Programs, are specific saving plans meant for higher education. Your child can use the money in the plans for tuition, books, or other college expenses. 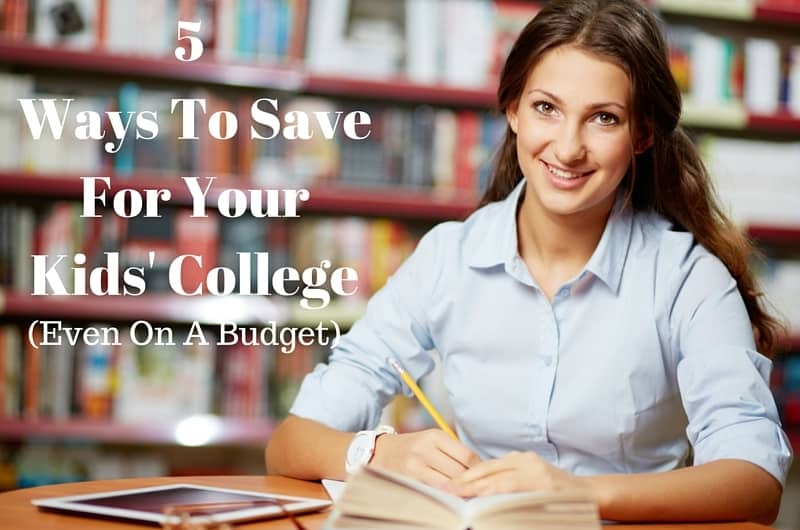 One of the biggest benefits to a 529 College Plan is that you can start the plan at any time (whether your child is 6 months old or 16 years old). Operating rules and fees differ from state to state so it’s best to talk to a financial advisor, your bank or credit union to weigh out the pros and cons of these programs. Get Your Kids Involved. As you teach your kids about good money management skills talk to them about different saving plans and different things they can and should be saving for. Yes, it’s important to save for that video game they want or their first car but it’s also just as important to save for their lives as they become adults. Sometimes it can be tough for kids to see the big picture when it comes to these things. It’s best to not force the issue but explain to them the benefits and consequences of not having enough money to pay for things, including their college education, without getting loans. If you look up a student loan payoff calculator, at current tuition costs and current student loan rates, at $200/month it will take you almost 24 years to pay back 4 years of education. Work On Wealth Creation. If you want to increase the amount of money you can afford to put into a college fund each month, one solution is to work on wealth creation. Wise investments, a new and effective budget that allows for growth, and guidance from a wealth management specialist, such as Patrick Dwyer, Merrill Lynch financial advisor, can help you be successful with wealth creation. The most effective strategy for building wealth and increasing the amount you want to add to a college fund is to begin as soon as possible. 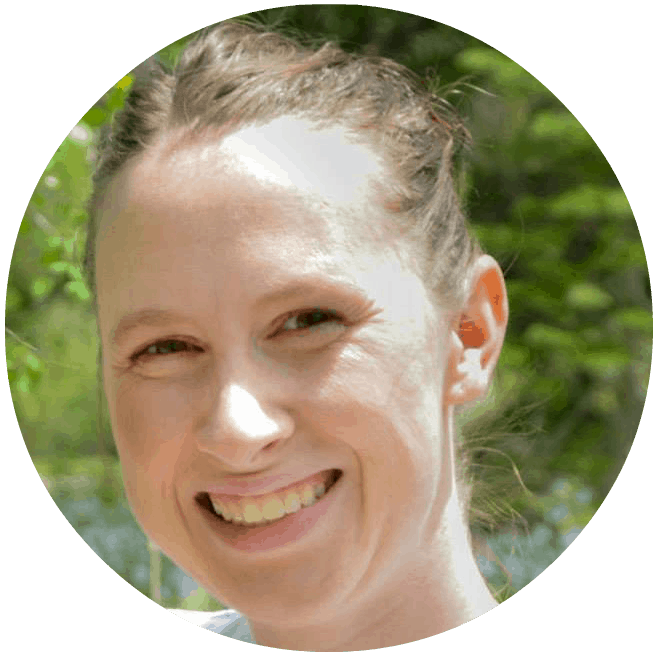 Prepaid Tuition Plans. This is a newer option that is available in about a dozen states that is a great option if you know your child wants to go to school in state. These plans allow parents (and their kids if they are contributing to their education costs) to pay current tuition rates and have it cover their education expenses even if rates go up. Unlike other plans where there are no age restrictions most prepaid plans limit participants to being 15 years old or younger. These plans can be used out of state as well but the penalties and fees may be higher than with an in state school. Like the 529 College Plans, rules and regulations differ from state to state so it’s best to talk to a financial advisor where you live to weigh out the pros and cons of these plans as well. Saving for our kids’ future can definitely be scary and something we may not think we are ready for but there are many ways that we can help get them started on the right foot. The ways I mentioned above aren’t the only ways we can pay for their education, but it’s a start. Before making any decisions it’s always best to talk to a financial advisor at your local bank, credit union or a trusted wealth management company. What ways are you saving for your kids’ education? Deciding on the best 529 plans can be tricky.There are two types of plans: prepaid tuition plans and college savings plan. It is important that you choose a plan with age- based options as every individual should have a different allocation of assets depending on when they want to enter college. Another way is to qualify for an academic scholarship. There are many foundations and organizations looking for individuals to support and will put the money to good use. Also, be sure to apply to the FAFSA web site. This will allow you to fully explore your federal student aid options, and many state and local organizations also use this platform in their application process.